America America is Elia Kazan’s forgotten masterpiece. If there were a list of the ten best films by major filmmakers that nobody knows about, this would be on that list. It’s Kazan’s most personal film. It’s based on a book he wrote and it’s essentially about his uncle’s emigration into the United States. It has no-name actors (you might recognize one or two people, maybe, but that’s it), and it’s a masterpiece. This is one of the most underrated Oscar nominees of all time. It’s so personal that you just knew they wouldn’t vote for it. But I’m curious how most people would view this now, if they watched all the films in the category. This is one of the most wide open Best Picture categories in history. It’s one of the weaker categories too. Not thet the films are weak. It’s the category that’s weak, because there’s so many reasons not to take a lot of the films. This is one of the best films of the decade and it’s good enough to be the vote. It’ll be top two for me for sure and the only question is if I take it or I give in to my more… populist instincts. Cleopatra is looked at as the big death knell for the studio system. This was the one that exemplified all that was dying about the film industry. Too much money, too much production, overwritten, overacted — just excess all around. That doesn’t mean it’s not great. But it is a very important film historically. It’s Cleopatra. Every Cleopatra movie basically follows the same format. She fights with her brother for control of the throne. She starts sleeping with Caesar and has his child. Caesar is then murdered. So she takes up with Marc Antony. And things don’t end so well for them. It’s a four hour movie, and it looks great. It’s just too much all around. Maybe a decade earlier this could have won Best Picture, but here, it just looks like a bad choice. This is like The Alamo a few years earlier — a big disaster that got nominated for awards because that’s what it was made for. It won a bunch of technical awards, because that stuff is all top notch. Production design, costumes, cinematography — completely worthy. Best Picture? Ehh. Would have been a lower tier choice, as much as I love this movie. How the West Was Won is just a wonderful film. 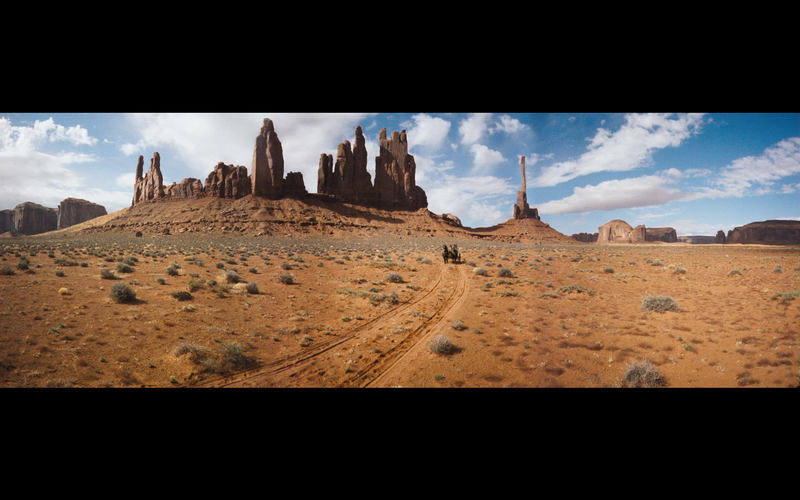 It’s a Cinerama movie, which means they shot it on three cameras filming at once. I got to see this at the Cinerama Dome, the only remaining (and the first, if we’re counting) place to exhibit these kinds of movies. They had like 8 projectionists just to pull it off. It was awesome. This is just a big western odyssey. It would be a miniseries if they made it now. It’s three hours, and we follow one family over several generations. That’s pretty much the story. It’s structured around several major elements of the western — the rivers, the plains, the Civil War, the railroad and the outlaws. That’s pretty much the progression of the western genre. We start as the Prescott family is traveling out west to start a new life. They encounter river pirates and dangerous rapids and things of that sort. Then one of the Prescott sisters, Debbie Reynolds, goes off on her own to become a dancer. She ends up on a trek out to San Francisco to inherit some land from a dead relative and takes up with Gregory Peck, a gambler. Meanwhile, the other sister, Carroll Baker, settles down and raises a family with Jimmy Stewart. Her son ends up fighting in the Civil War. Afterward, he ends up a cavalry officer helping keep peace between the natives and the railroaders. Eventually he ends up becoming a sheriff out west, dealing with train robbers and gunslingers. The beauty of this movie is the absolutely stunningly gorgeous cinematography. 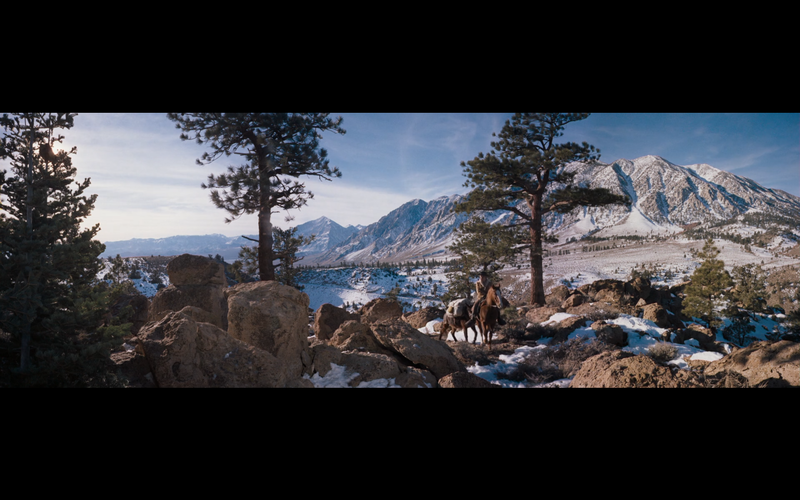 If you see a 4k version of this movie, you will be blown away by how beautiful it looks. 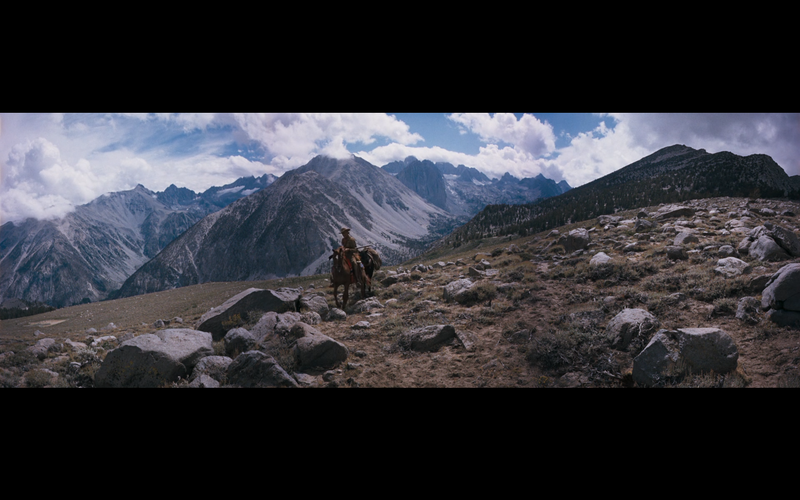 Half the movie is about showing this on Cinerama and taking advantage of the landscapes. I love this movie a lot. It’s not really a fitting Best Picture choice, but in a category like this, it’s as good a choice as any. Lilies of the Field is one of those movies that’s perfectly fine and perfectly entertaining, but I just don’t get it. Sidney Poitier is a drifter who comes into town looking for some water. He stops at a nunnery and the nuns basically hire him to build a church for them. At first he’s like, “… naw,” but then eventually he builds the church. That’s pretty much the movie. He builds a church for some nuns. Poitier winning Best Actor for this aside (though my feelings on the performance specifically are the same. It’s the fact that he won that I’m very okay with), I don’t understand particularly what’s so special about this movie. It’s just okay. They seemed to like it, so sure. But for me, easy fifth in the category and it only serves to make everything look much weaker, especially given some of the other options they had for this spot. Tom Jones is one of those Best Picture winners I always wondered about. Though now that I can contextualize things better, I’m starting to understand it (sort of). It’s based on Henry Fielding’s novel, and it’s basically a British comedy. There’s a (silent) comic sequence at the top and the film is about a man who is basically a womanizer looking for his place in the world. He goes around, sleeping with women, pining for one, unable to really get anywhere because he was born illegitimately and doesn’t have any social standing, and generally getting into mischief. So we follow him as he goes around, getting into mischief, sleeping with women, and almost getting himself hanged. It’s fine, it’s fun. It’s a solid enough movie. I’m not entirely sure why it won, but they seemed to like it. For me, there’s only one real part I ever remember (that eating scene), and I always just think, “Yeah, it’s fine.” In the category it’s a definitive fourth choice for me. I’d take three movies straight up over this every time. Which is usually the sign of a winner that I just don’t think is very good. Which is only sustained by the fact that no one really remembers this at all as a winner. The Reconsideration: One thing I’m seeing more of this time around that I never quite paid attention to now — a lot of the choices I deem as “bad” choices are ones that they backed up. The first time out I watched all the films and pretty much based my opinions on what I thought of the films. Now, I’m sort of basing it on that, but I’m also basing it on the Oscars and what seems like it would be a good historical choice for them. And it’s getting me to look at each year and what the Academy thought were the best films. Tom Jones was the most nominated film of this year. It had ten nominations. Sure, five of them are acting nominations, but ten nominations is ten nominations. As much as I want to call it a bad winner — they set it up to be the winner. So I can’t be that upset about it. And I’ll say as much at the end when I go over the category, historically. That’s just something I felt I needed to note. And no, I won’t be taking Tom Jones. I don’t like that movie all that much. It’s a perfectly fine film and a fun film, but it doesn’t do much for me. It’s a fourth choice for me. Wouldn’t go anywhere near it. Lilies of the Field, as we already know, I would never take in a million years. It just wouldn’t happen. That’s not my speed and it shouldn’t have won. I already said in Best Actor for this year how, despite my happiness for Sidney Poitier having an Oscar, this should be viewed as a horrible way to give the man an Oscar. But hey, it is what it is. So Cleopatra I’ve already made my feelings known about. It’s great and I love it, but it’s not something that should have won, and as much as I do love it, I love the other two choices more. So it ends up a third choice and one of those movies that I’ll defend but I’m not sure many others would. Now we’re left with How the West Was Won and America America. By any “cinema” rubric, it’s clear that America America is the better film. But I really love How the West Was Won, and I think my love for that film is going to blind me into taking it. I’m not perfect. But I like what I like, and who am I if not honest about who I am? Sometimes that’s enough for me. How the West Was Won is a film that I consider essential. Feel free not to see it. But know that I think it’s one of the most gorgeous looking films ever made, and it’s a classic western that’s just so much fun. Take my opinion or don’t. America America is Elia Kazan and it’s a masterpiece. It’s essential. You might not think it’s essential, but it is. You’ll thank me later. Cleopatra is essential because it’s such an important film, historically. This is the benchmark movie that’s thought of as the end of the studio system. Plus, Elizabeth Taylor, Rex Harrison, Richard Burton — the grandeur — see it. It’s worth seeing. I love it and it’s important and you should see it if you love movies. Tom Jones is a Best Picture winner, making it a certain degree of essential. As a film, it’s good. Solid recommend. One of the least essential Best Picture winners, though worth seeing because it’s a lot of fun and because if you see it, then you can join the conversation about what was the best choice for this year. Lilies of the Field is essential for Oscar buffs. Otherwise — ehh. It’s a decent movie. Poitier helping some nuns. Moderate recommend for those not into the Oscars. Not something I’m particularly into. The Last Word: This is a tough one for me. I truly consider Tom Jones one of the weakest Best Picture winners of all time. When put in context — it was nominated for ten Oscars and tied for the most amount of wins in a year with a lot of great films in it (some of the non-Best Picture nominated films are Hud, 8 1/2, Irma la Douce and The Cardinal) — it’s not that terrible a choice. Because at least that’s what they liked the best and went for. That said, history has spoken and pretty much relegated this to the forgotten Best Picture winner category. It’s probably bottom ten in terms of recognition and… not quality, but that general “Best Picture” type quality. If you were putting all 90 (as of now, assuming we’re counting both the first ones) winners in a list, this would be right at the bottom. Maybe it escapes the bottom ten, but it’s bottom 15. It just is. It’s not a great winner historically, but in 1963 it kind of works. Now, the question because what would have been a better choice. I can’t help but feel like Cleopatra would have been a better choice than Tom Jones, despite the general consensus surrounding that film. I guess because bigger is better? It being such a big film can overcome a lot of the problems that Tom Jones has as a winner. Look at Around the World in 80 Days. It doesn’t hold up particularly well, but it’s a huge film, so at least it looks okay on name recognition and you can go, “I kinda get it.” So in that regard, I think Cleopatra could have been okay. America America is the interesting one. I think it’s the best film. But would it have held up as a winner? It probably would have been about as forgotten as Tom Jones. Though if you replace the two, Tom Jones becomes a nice little oddity without much of any real recognition, and America America becomes one of the great Best Picture winners that nobody knows about. More people see it and discover it, and it probably gets even more of a profile that it currently doesn’t have. So, to me, this probably would have been the best winner. And Elia Kazan joins William Wyler territory — three Picture/Director combos. Though he’d have done it in three different decades, which would have been really impressive. So yeah. Tom Jones. Hasn’t held up great as a winner, but looking at the category, it’s not that bad a choice. And it holds up when you look at how they voted this year. Holds up in the year it happened but not over time. The choice that’s probably the best in the category: America America. And I think Cleopatra second just because size takes away a lot of the blowback and the name recognition makes up for a lot. Becket is the first of the British theatrical costume dramas of the 60s. The 50s were all about scope and scale. The 60s pared it back and went for straight drama. Actors like Richard Burton who were in these big movies like The Robe where they got to give big, theatrical performances, now got to be in these movies, where it was all about dialogue and performance… and they got to give big, theatrical performances. This is about the relationship between Henry II and Thomas Becket. They were buddies growing up. Now Henry is the king and wants someone near him that he can trust. So he appoints Becket as the Archbishop of Canterbury. Trouble is, Becket takes his duties seriously, which quickly puts him at odds with Henry on a lot of political things. And it’s about the relationship between the two men. It’s a very good film. Two-hander between Peter O’Toole has Henry and Richard Burton as Becket. Mostly about the performances, but it’s good enough to have been nominated for Best Picture. Fifth choice in the category. The only way one of these should have won Best Picture is if the category is exceptionally weak. Which this one is not. So it quickly falls to the back of the pack, despite being very solid. Dr. Strangelove or: How I Learned to Stop Worrying and Love the Bomb is just an all-time comedy. This movie is so funny. I’m amazed how well this has held up over the years. It’s still eminently quotable and watchable. It’s just perfect. It’s a satire and dark comedy about nuclear annihilation. Just see it. You don’t get a synopsis for something this famous. I’m probably going to vote for this. Because I love it that much. The real interest for me is discussing the choices and what would have been a good winner. Because it’s an interesting one to talk about. So we’ll wait for that part. The early part is whatever. There are three great films here and two very good films here. You can take almost anything. Mary Poppins is Mary Poppins. Come on, now, what more do you need? A synopsis to blow in from the wind? This is a real classic. And honestly, it might have held up if it won. You can take it. There’s no reason why you shouldn’t take it if you love it. I love the movie, but I don’t love it quite enough to take it over Dr. Strangelove or My Fair Lady. So it’s third choice for me, but it could just as easily be first under the right circumstances. My Fair Lady is the bells and whistles musical version of Pygmalion. So you have all the great Shaw dialogue, classic Lerner and Lowe songs, and glorious sets and costume designs. Oh, and Rex Harrison and Audrey Hepburn. I love this movie. This is pretty much the last year where something like this could have won. It’s very much a relic of “Old” Hollywood. And after this, it would have been horribly outdated. This is the passing of the torch year for Hollywood. It would take them three more years to fully go that route, but this is the last big one of those wins. You know what the thing is with this film? It’s great and I love it and it’s a fine winner… but I don’t love it enough to make it my first choice. And I don’t know if most people looking at this category do either. Maybe. But I feel like if we’re voting the way the Academy voted at the time, which is the non-weighted ballot and the straight “pick a winner” version — I don’t think this wins in 2017. Not that that means anything. But I do find that interesting. But yeah, as much as I love this, it’s no Dr. Strangelove. So this’ll be my second choice in the end. Zorba the Greek is such a wonderful movie. I always forget how good this is until I see it again or it comes time to talk about it. The final scene of this movie just makes me so, so happy. Alan Bates is a man of Greek descent who travels to Greece after his father dies. He’s going to inherit a mine. Upon his arrival, he meets Zorba, a peasant and a free spirit, who tells him he can take him to the mine and knows all about mines and mining and can run it for him. And on their journeys, Zorba teaches the reserved man how to live life to the fullest. It’s — incredible. One of those movies that makes you happy and reaffirms all that’s good in life. I love that this was nominated. Unfortunately, it’s a fourth choice in the category. Maybe I could push it to third or second if I’m feeling jaunty, but I’d never take this over Strangelove. I just wouldn’t. The Reconsideration: Strangelove is my choice. That’s pretty much never gonna change. I love all of these films and would legitimately consider four of them as the choice, but it’ll always come down to Strangelove for me. Dr. Strangelove or: How I Learned to Stop Worrying and Love the Bomb. Do I need to tell you how essential this is? If you’re a film buff and you haven’t seen this, you’re gonna have to answer to the Coca Cola company. Mary Poppins is essential. And also, you should know that. It’s Mary Poppins. What kind of monster didn’t see this as a child? My Fair Lady is essential. Pygmalion is essential on its own, and this is one of the most classic musicals ever made. The songs are some of the best ever written. Best Picture winner too — all around essential. Zorba the Greek is a very, very high recommend. I’d go so far as to say it’s essential, even though it’s probably not. This movie makes me so happy, and I’d wager it’ll make you happy too. Must see if you love movies. Becket is awesome. These costume dramas are all fantastic. High recommend. You’ll need to see at least one of them. Probably A Man for All Seasons and then maybe The Lion in Winter. When you have those, you can gauge how you feel about them and can decide how essential you see ones like this. I think they should all be seen, but you can maybe skip it if you really don’t like them. The Last Word: My Fair Lady is a solid choice. It holds up as a winner. About middle of the pack, historically, but still — solid winner. Mary Poppins would have been about the same. Though it would have held up only on charm and not much else. Dr. Strangelove would be the consensus choice for this year because people love it, but I don’t think the Academy was capable of making that decision in 1964. So yeah, that’s probably the best choice, but I don’t think they’d have made it. So they made a fine choice that I can’t argue with, even though we all think there was a better one to be had. This entry was posted on April 19, 2017 by B+ Movie Blog. It was filed under Movies, Oscars, The Oscar Quest and was tagged with Best Picture, Film, Movies, Oscar, Oscars, The Oscar Quest, The Oscar Quest Reconsidered. Actually, the Cinerama Dome is one of three remaining venues able to play three-strip Cinerama. The other two are in Seattle, Washington and in Bradford, England.